And you know what that means--strawberry shortcake! Nothing's better! I realized that I know nothing at all about strawberries other than the fact that when they're good, they're very, very, good, and when they're bad, they're horrid! I consulted a hefty tome entitled, On Food and Cooking: The Science and Lore of the Kitchen by Harold McGee [641.5 MCG], which informed me that the strawberry we know today is really a hybrid of two species that originally came from the New World, one from North America and the other from Chile in South America. Both were brought to France in the 1700s, and, by a fortuitous accident the two crossed. The pineapple note...comes from the presence of ethyl esters. Some sulfur compounds and a complex caramel-like oxygen-containing ring, furaneol (also characteristic of pineapple), round out strawberry aroma. The smaller European woodland strawberries have a flavor of Concord grapes thanks to anthranilates, and a clove-like spicy note (from the phenolic eugenol). Oh, and one more thing I learned from the book: picked strawberries do not continue to ripen. So, don't waste time waiting for them to turn redder! I hope to see you at the festival! If you have to miss it, then treat yourself to homemade strawberry shortcake. 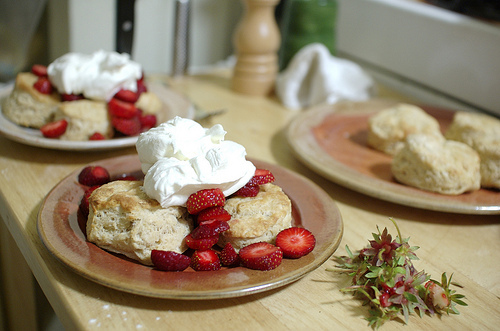 You'll find an interesting recipe for a "Strawberry Shortcake Cake" in Ree Drummond's The Pioneer Woman Cooks: Food from My Frontier [641.59766 DRU]. Leo Dillon passed away on May 26. He was 89. Along with his wife, Diane, Dillon illustrated a great number of children's books. 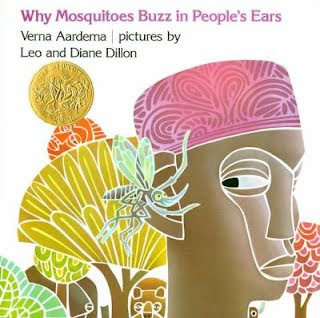 Two of their titles won Caldecott Medals. I heard the news on Monday on Facebook from an illustrator. When I went looking for an obituary, I found nothing aside from a tribute on the Tor site. Tor is a speculative fiction publisher and it seems that the Dillons also did a great deal of work in the world of fantasy illustration. Click here for the transcript to a student interview that was conducted in 2003. I heard a most amazing story on WBUR last week about elephants exercising their brains with toys created by students at the Mass College of Art. I have to share it with you--click here. It's amazing how closely related humans and elephants are in their psychological needs! It may be worth your while to plan at trip to the Buttonwood Park Zoo in New Bedford, MA to see the playful elephants in action. The Franklin Park Zoo in Boston may not have elephants, but they have lots of other fascinating creatures for you to learn about. Did you know that we have passes to Zoo New England of which the Franklin Park Zoo is a part? The passes come to us courtesy of the Friends of the Library of Windham. The funds for zoo and museum passes are raised by events such as the annual Strawberry Festival and Book Sale, which is being held this Saturday at Windham High School. You don't want to miss it! The Library is closed today in honor of Memorial Day. 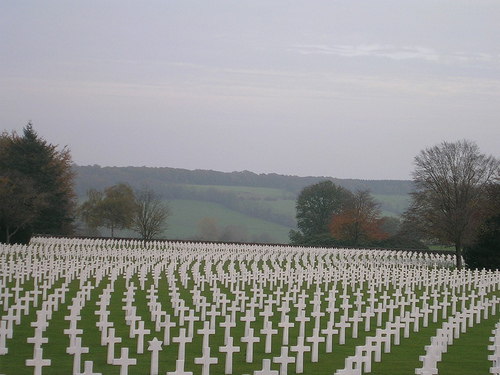 To understand the meaning of the holiday, listen to "The Day Taps Echoed Through Belgium's Hills" from NPR. Photo of WW II cemetery in Belgium by Xenocryst @ Antares Scorpii. I don't know about you, but I grew up on fudgesicles, and, the occasional ice pop, so this one resonates with me! Wings that you/could whisper through--isn't that lovely? 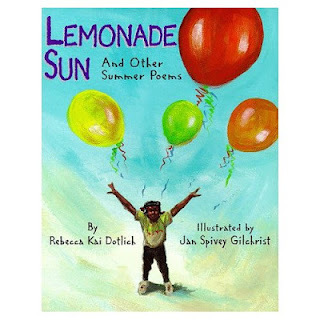 Visit the Poetry Friday Round-Up being held today at TeacherDance. Enjoy the long weekend, and on Monday, take a minute to remember the reason for the holiday. Just a reminder, the library will be closed on Monday. The Museum of Fine Arts in Boston recently received a gift of 6,000 photographs taken by famed photographers Edward Weston, Ansel Adams, and Imogen Cunningham. Several works of art were also part of the gift donated by Saundra Lane. If you wish to learn more about the donation and its donor, click here for a New York Times article. 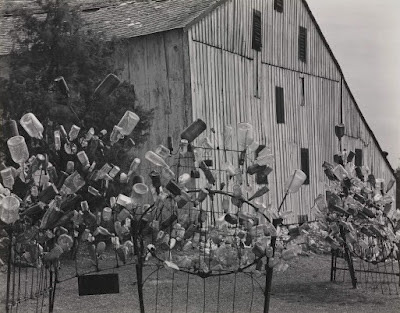 Most people are familiar with the work of Weston and Adams, but Imogen Cunningham is a little less well known. You can see her works here and here. The donation of Saundra Lane greatly expands the MFA's photography collection (from 9,000 items to 15,000). Edward Weston, 1941. 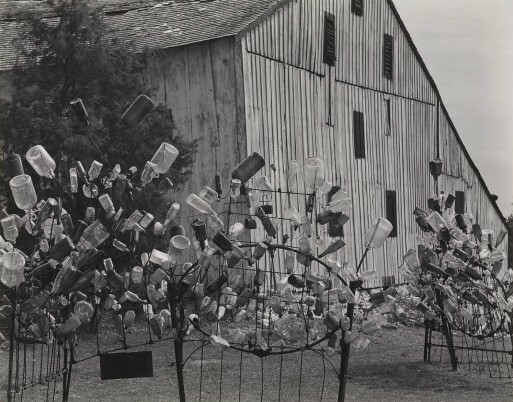 Photograph, gelatin silver print. The Lane Collection. You may want to plan a trip to the museum soon. If so, we have a library pass (donated to us by the Friends of the Library of Windham); click here to book it up to a month in advance. As a parent you may have reservations about letting your children spend time on the internet. 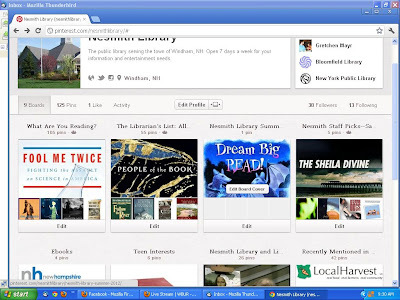 One way to allay your fears is to direct your kids to some of the sites selected by the American Library Association for their Great Websites for Kids page. The sites listed are sorted into eight categories of interest: Animals, The Arts, History & Biography, Literature & Languages, Mathematics & Computers, Reference Desk, Sciences, and Social Sciences. There is an additional category specifically for adults, Sites for Parents, Caregivers, Teachers & Others. Being as the GWK is produced by ALA, it's not surprising that a majority of the sites are book-related--there's nothing wrong with that! Before letting your kids loose on the computer, you may want to take a look at a 2012 title called The Healthy PC: Preventive Care, Home Remedies, and Green Computing by Guy Hart-Davis [004.16 HAR]. The publisher states, "This hands-on guide also explains how to protect your PC for free using Microsoft Security Essentials, use the Internet safely, and configure parental controls to protect your children both online and offline." Just released, it should provide the latest in internet safety protection. Logo courtesy Great Websites for Kids. Who doesn't love shoes? Probably most men who look at shoes as strictly utilitarian. Many women, on the other hand, look at shoes as wearable art! I discovered a remarkable gallery of shoes which is sure to please KK's women readers! It is appropriately titled the Virtual Shoe Museum. You can visit the virtual museum from the comfort of home while wearing your slippers. You can easily spend several hours looking around the site, so get comfortable before you start. The Virtual Shoe Museum has several interesting videos for you to view, including the one below, which tours the "Shoe or No Shoe" ethnocentric collection of shoes in Belgium. The collection contains shoes from 155 countries, some of which are hundreds of years old. We have a compact little book titled Shoes: A Celebration of Pumps, Sandals, Slippers & More by Linda O'Keeffe [391 OKE] for adults, and tons of picture books for little girls AND boys. 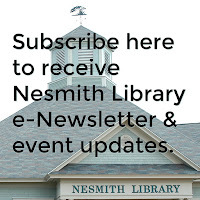 We now have a Nesmith Library Teens Facebook page to keep our young adult library users up to date with events and library materials related to teens. 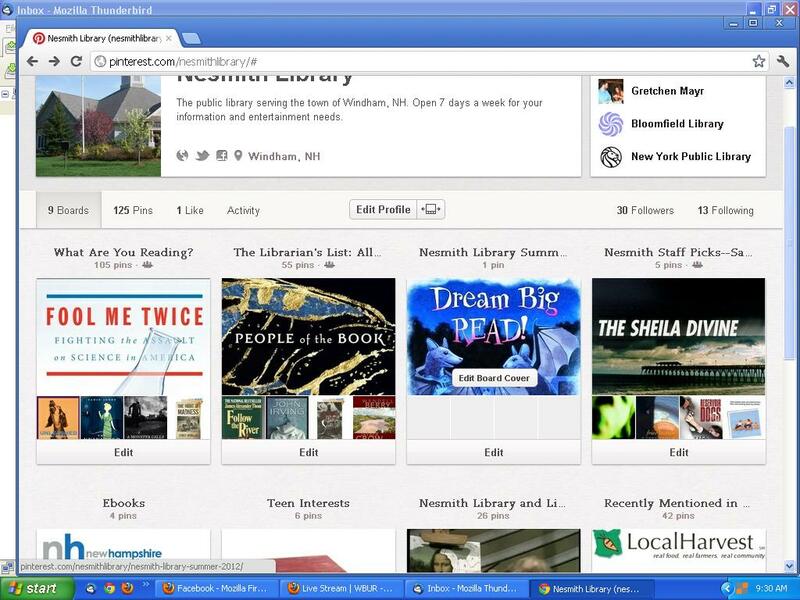 Visit the page at www.facebook.com/nesmithlibraryteens and "like" us! If you have any questions, the page is being managed by our new Young Adult librarian, Sylvie Brikiatis. One of our other new staff members, Sarah W., is now pinning her favorite things on our Pinterest page; look for the board titled Nesmith Staff Picks: Sarah W.
We are also sharing two boards which offer suggestions of recommended books. One is What Are You Reading? and the other is The Librarian's List: All Time Favorite Books. The second one bills itself as "A list of our most beloved books created by librarians for librarians and the world!" Sometimes you just need a little nonsense in your life! from A Cup of Starshine: Poems and Pictures for Young Children, selected by Jill Bennett [J 811 CUP]. As you can tell, the poem is thoroughly British. The poet, Spike Milligan, was a staple on British television for many years, and is said to have provided inspiration for Monty Python. His humor was broad and a little raunchy; the following is the only clip I could find that had nothing to offend! In 1998, Milligan's poem, "On the Ning Nang Nong," was voted as the UK's number one comic poem. You can read it here. If you haven't already been there, head over to Write. Sketch. Repeat. for the Poetry Friday Round-Up. There has been a proliferation of farmers' markets in the region over the past few years. This is a great step back to the days before superstore supermarkets. Imagine, moving backwards! In this case, I think it's a great idea. Several other recent movements in farming are "Eat Local" and "Community Supported Agriculture," often referred to as CSA. Click here to learn more. The 2012 season is beginning, so you can look forward to about 6 months of farmers' markets to attend! For a listing of New Hampshire markets, click here. 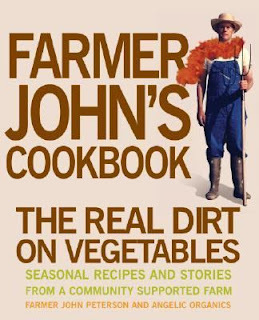 A good companion book to farmers' market shopping is Farmer John's Cookbook: The Real Dirt on Vegetables by John Peterson. The open, poetic language of improvisational storytelling invites people with dementia to express themselves and connect with others. There is no reason why the TimeSlips program can't be used with other groups of people, or children, or even your family. Check out the TimeSlips website where you'll find bunches of colorful and interesting photos and images to jumpstart your imagination. Sample stories based on the images, are available, too. Alzheimer's is a cruel disease that, with the aging American population, we will all come in contact with sooner or later. Learn more about it through books such as Mayo Clinic on Alzheimer's Disease, edited by Ronald Petersen [616.831 PET], or The Forgetting: Alzheimer's, Portrait of an Epidemic by David Shenk [616.831 SHE]. 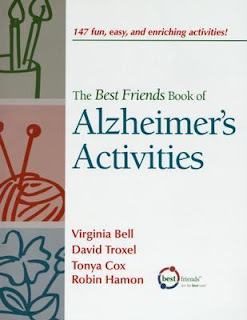 If you know of an Alzheimer's patient, there are many activities that you can do besides storytelling. 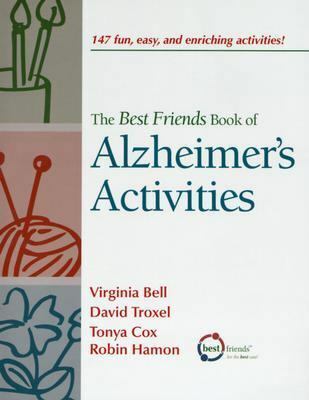 Look for them in The Best Friends Book of Alzheimer's Activities: 147 Fun, Easy, and Enriching Activities [362.196 BES]. 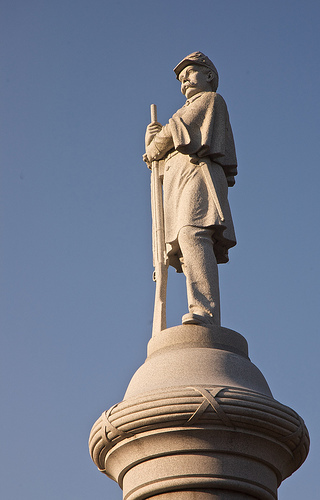 As part of the sesquicentennial observance of the Civil War, and in conjunction with national "May is Preservation Month" programming, the N.H. Department of Cultural Resources and the N.H. Division of Historical Resources have assembled information about the Granite State’s role in the conflict that shaped our nation and our state. If you've ever sat through all the episodes of Ken Burns' The Civil War [DVD 973.7 CIV], you can fully appreciate how profoundly the northern states were touched by the war despite all the action happening in the distant south. Many New Hampshire residents took part in the conflict. Drive through almost any NH town center and you're bound to see monuments to those who served in the Civil War. In Windham we have weighty marble plaques on the interior walls of the old library (the Armstrong building). Evidence of NH's involvement is everywhere, if you'll take the time to seek it out. Photo taken in Goffstown by jcbwalsh. Last week was National Postcard Week, and there were crafters who made special postcards to swap during the week (see some NPW postcards here). Maurice Sendak passed away last week, too, and one of the online tributes showed a picture of an envelope that Sendak decorated to send through the mail. Looking for examples of decorated mail led to me discovering a type of craft work known as "Mail Art." Links to more about mail art can be found here. Nick Bantock's, Griffin and Sabine: The Extraordinary Correspondence [F BAN] is a literary exploration of mail art and should provide inspiration for you to work on your own. 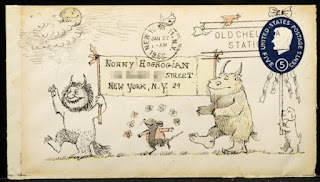 Sendak envelope courtesy Letters of Note. There was such a generous outpouring of tribute and tears after the news of the passing of Maurice Sendak earlier this week. His honesty in the making of children's books will be missed. 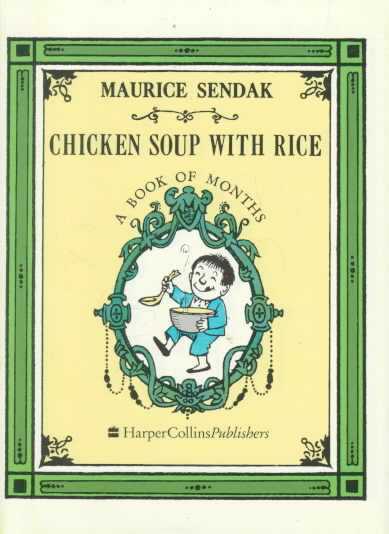 In remembering Mr. Sendak, and seeing as it is Poetry Friday, I'd like to share my favorite month from Chicken Soup With Rice: A book of Months [JP SEN GREEN DOT]--December. The lovely "B" sounds make this verse a winner. with soup bowls draped all over me. The whole book is delightful, from its small format (approximately 5 x 7"), to its rhythm, to its exuberant illustrations. A merry, merry gift for all! 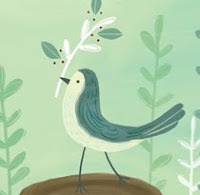 The lovely Irene Latham of Live Your Poem... is hosting this week's Round-Up. I don't suppose I'll head for Relativity, the Special and the General Theory: A Popular Exposition [530.11 EIN], written by the Professor himself, but I might start off a little more simply with a book written for children such as Albert Einstein and Relativity by Derek J. Raine [J B EIN]. Then I might ease into it with something like Einstein's Clocks, Poincaré's Maps: Empires of Time by Peter Galison [529 GAL], which is described as "part history, part science, part adventure, part biography, part meditation on the meaning of modernity..." What more could you ask for? Sad news came through yesterday on the passing of illustrator, Maurice Sendak. He will be sorely missed. His most famous book is, without a doubt, Where the Wild Things Are [JP SEN], and thousands, if not millions of kids, can recite parts of the book from memory. Terry Gross, on NPR's Fresh Air, did many interviews with Sendak over the years. The last one, in 2011, is worth listening to again. 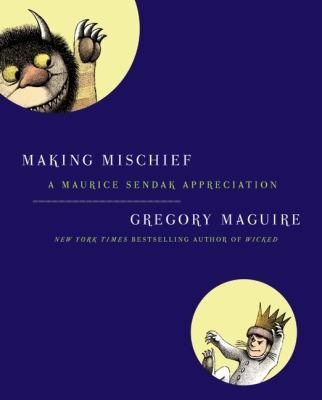 Look for Making Mischief: A Maurice Sendak Appreciation by Gregory Maguire [741.642 MAG] to learn more about the man behind the Wild Things. Yesterday marked the beginning of Children's Book Week, May 7-13. The guessing game poster (how many literary characters can you name?) is by the award-winning, David Wiesner. Weisner won the Caldecott Award an unprecedented three times--Tuesday, The Three Pigs, and Flotsam [all JP WIE]. 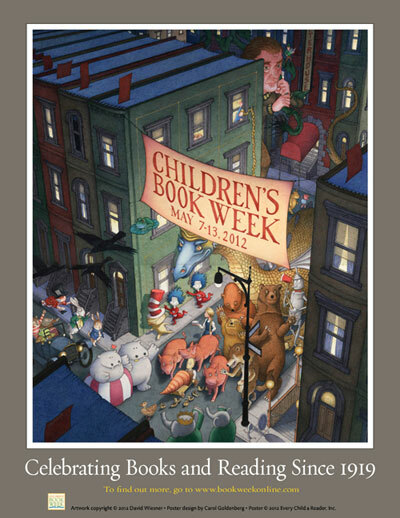 Poster courtesy Children's Book Week. Similarly, there is a guessing game bookmark that can be downloaded here. 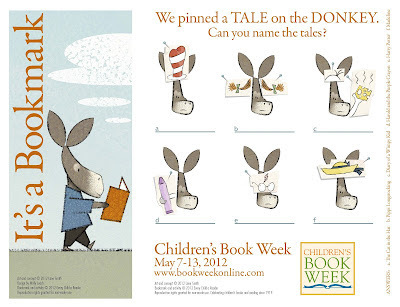 Its creator is illustrator, Lane Smith. We also have many of his books in our collection, including his recent Grandpa Green [JP SMI], which appeared on several 2011 "year's best picture book" lists. 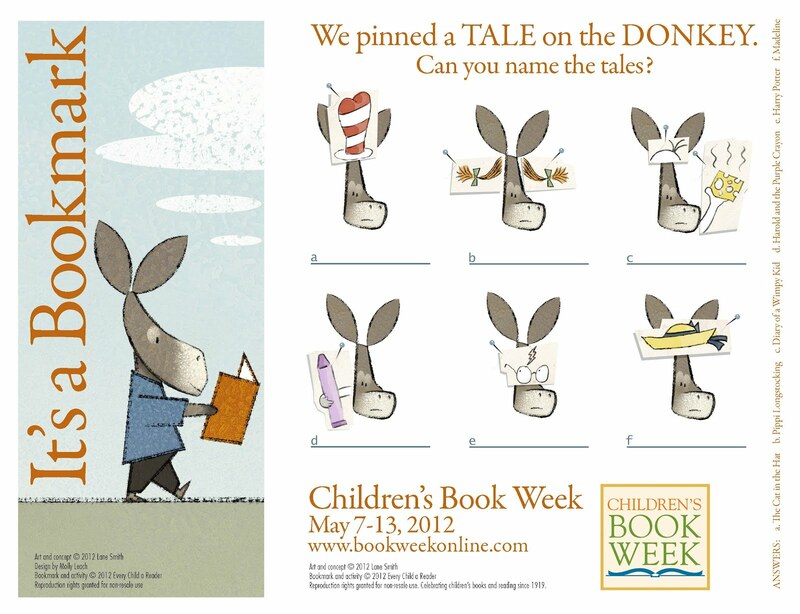 Bookmark courtesy Children's Book Week. Both Wiesner and Lane are featured in Show & Tell: Exploring the Fine Art of Children's Book Illustration by Dilys Evans [741.642 EVA]. Last night, the Children's Choice Book Awards were announced. The winners of these awards were determined by the votes of than 900,000 kids! Jeff Kinney was named author of the year and Brian Selznick was illustrator of the year. Have you noticed that more states are now actively trying to attract tourists through advertising? I'll bet you've seen travel commercials on television for Michigan and said to yourself, Michigan? Who knew? On April 12 the New Hampshire Division of Travel and Tourism Development launched elements of their new brand identity for the Granite State. More information to come on May 8th. Tomorrow is May 8, and I can't wait to see what the people at the NH Division of Travel and Tourism have in the works. How many of NH's cultural and tourism areas have you put off visiting just because you live in the state? Maybe now's the time to plan a day trip before the out-of-state tourists, who've been attracted by vacation destination ads, start heading this way! 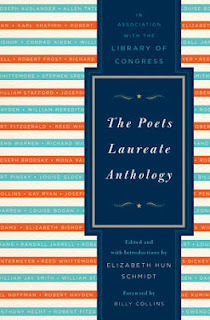 I suppose I have no expertise which enables me to claim that The Poets Laureate Anthology [811.5 POE] contains the crème de la crème of American poetry of the past 70 years. But, in my opinion, if you're looking for just one book filled with awesome poetry, this is it! 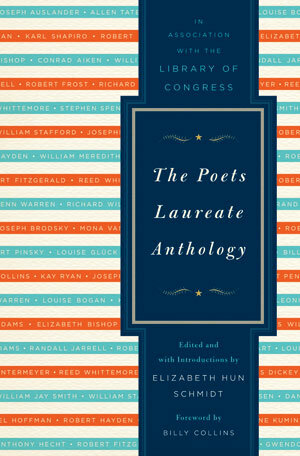 The Anthology was produced in association with the Library of Congress, the agency responsible for the appointment of United States Poet Laureate. It was edited by Elizabeth Hun Schmidt, who also wrote the introductions to each of the poets. The hefty tome (762 pages) contains 43 poets laureate; the volume was produced before the appointment of our latest poet laureate, Philip Levine. Of the 43 poets, five of them hail from New Hampshire--Charles Simic, Donald Hall, Maxine Kumin, Richard Eberhart, and Robert Frost! Is that impressive or what? He is exploring what I write now. Is this a living poem? His life is a quarter of an inch. I could crack him any moment now. Almost too delicate to examine. An inch away from An. Does he know the importance of man? His antennae are still sensing. The world in its sensual height? That he never thought of Plato. For some reason he has not flown away. I play with you in my depth. What, still there? Still evanescent? You are my truth, that vanishes. He has flown into the infinite. Poets' talents lie in bringing the inconsequential to life and making the reader recognize the connections between us. This week the Poetry Friday Round-Up is taking place at Wild Rose Reader. 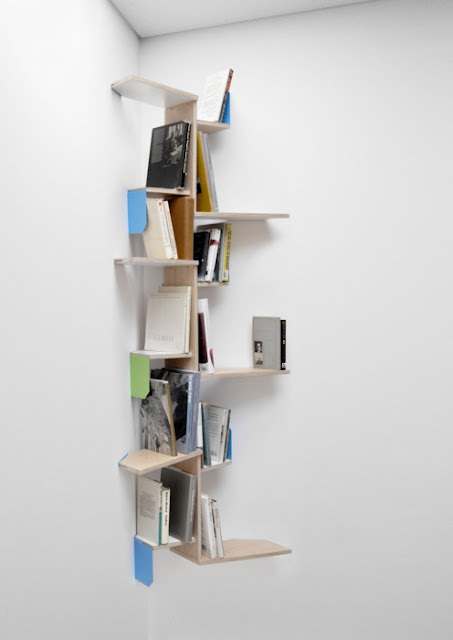 There is a newly released book on the market called Bookshelf by Alex Johnson [on order]. The author of the books also has a blog of the same name. Book lovers should really take the time to check it out! It highlights some of the most innovative shelving that I've ever seen! Last week was National Princess Week, and as I mentioned in this post, not everyone was on the princess bandwagon. An article in the Washingon Post, "D.C. Couple Launches ‘A Mighty Girl’ Web Site, Gives Girls Non-Traditional Princesses to Admire," raises the awareness of other role models for girls. The website claims to be "The world's largest collection of books and movies for smart, confident, and courageous girls." What librarian can find fault with that? I'll be spending some time going through the lists, but I'd be willing to bet, we have most of the titles! We do like to keep up with our courageous girl books! The writer of the above-mentioned article, had written an earlier one about Cinderella Ate My Daughter: Dispatches from the Front Lines of the New Girlie-Girl Culture by Peggy Orenstein [305.23 ORE]. You may want to read it and then check out the book. Here's Stonehenge like you've never seen it before!